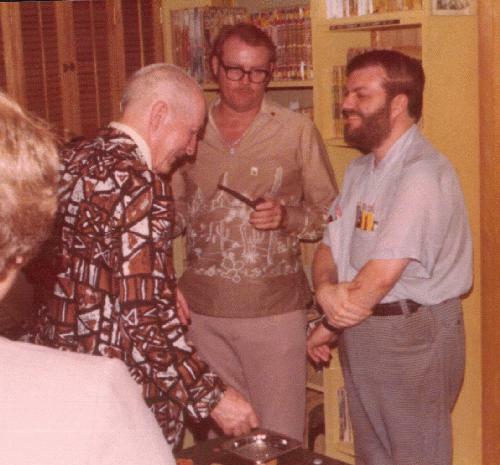 l02a003.jpeg [37KB]: Robert A. Heinlein, Dr. Jerry Pournelle and Dan Alderson talking during Heinlein's visit to the original LASFS clubhouse. Updated March 10, 2000. If you have a comment about these Web pages, please send a note to the Fanac Webmaster. Copyright © YEAR by F.A.N.A.C. Inc.